As part of the Frosts Pharmacy Group, a family run business established in 1925 by John Frost and now run by his grandson Stuart Gale, we are a fully registered UK pharmacy and adhere to the standards set by the General Pharmaceutical Council. We run successful high street pharmacies in Banbury and Oxford, in the UK, as well as our online chemist services. Further to the distressing news about personal patient information being sold to third parties, I wanted to reassure all visitors to the site that any details submitted to Oxford Online Pharmacy are treated as confidential - at all times. Your personal information will never be passed on to anyone other than our medical staff. Every member of our team is committed to delivering the best possible customer service so that you the can feel completely confident that you are getting the right advice and treatment for your needs, whether you are visiting us in one of our bricks and mortar pharmacies or you prefer to manage your healthcare needs online. Should you have any concerns please feel free to give us a call on: 01295 262925 and we will do our utmost to answer any questions you may have. All deliveries are made using the Royal Mail parcel delivery service in unbranded discreet packaging. This means that you can purchase products from us discreetly, such as weight loss, hair loss, STD or erectile dysfunction products. As you would expect, our billing information is discreet too, ensuring you peace of mind. 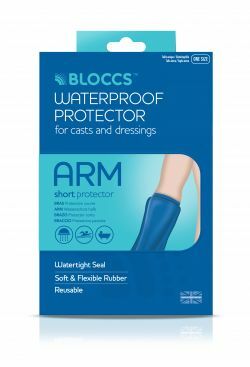 Bloccs protectors are easily stretched over your cast to make a watertight seal. 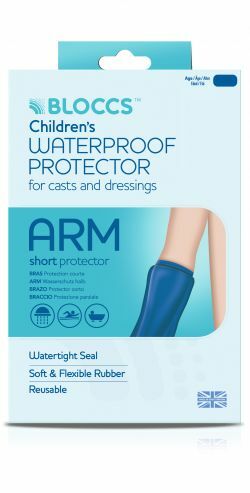 Measure around the arm 1 to 2 inches above your cast to find the best size of cover. 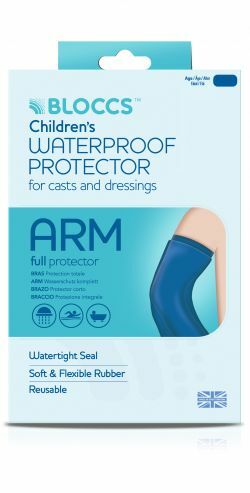 cheaper elsewhere, we will refund the difference. * All calls to Oxford Online Pharmacy are recorded for training and quality monitoring purposes.